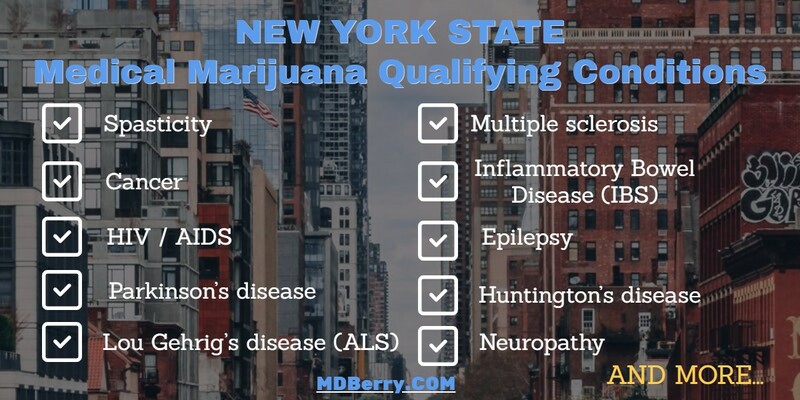 At MDBerry New York, our online Medical Marijuana Doctors may be able to diagnose qualifying medical conditions that have similar symptoms to the conditions below. Schedule an in-person or online consultation today. Keep in mind that conditions to become a medical marijuana patient and get an mmj card are not measured by the below-mentioned ailments’ list. For instance, you may be suffering from particular forms of chronic pain. And this as well may become a grounding for your medical marijuana treatment. Recently the authorities signed a bill to battle the opioid crisis in the US. That allows mmj as an alternative to opioids for acute pain management. Take into account that qualifying health conditions are not limited by the above-mentioned ailments’ list. 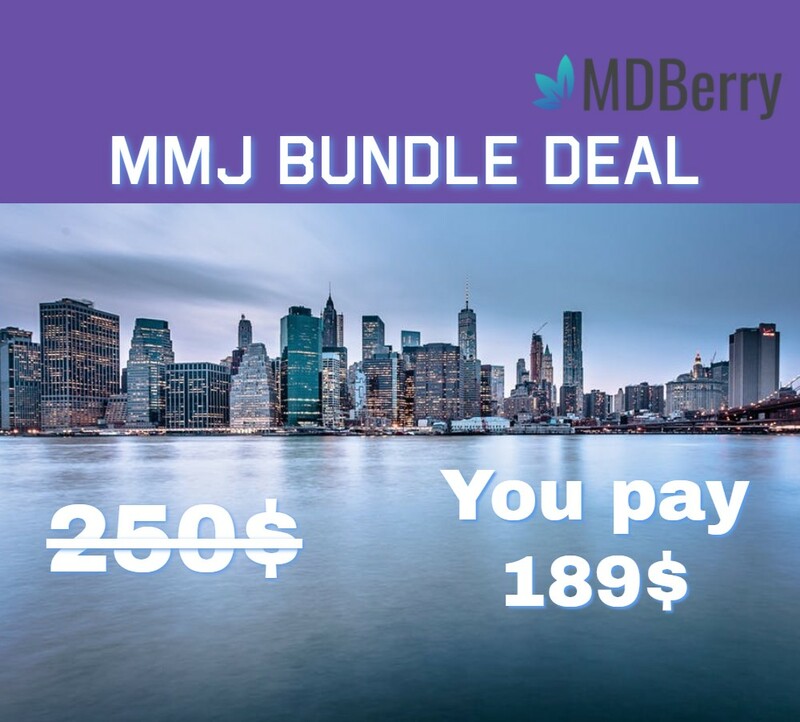 The mmj laws are being gradually updated, that makes possible to heal more patients using 420. MMJ proved to be efficient with various forms of chronic pain. The healing effect was vivid for those who struggle with nausea and vomiting during chemotherapy, appetite loss, chronic pains, muscle spasms, and several other widespread health issues. A current emendation to the mmj law also presupposes the possibility to replace the usage of opioids with medical marijuana for acute and severe pain management. According to the stats, opioids take 90 Americans lives every day, being highly addictive. Recent studies suggest that medical pot may be regarded as a safer alternative to opioids.